The Bluestone Trail is a 1-mile shared-use path that connects people between James Madison University; Port Republic Road and Hillside Avenue; Purcell Park and the surrounding neighborhood; and businesses along Stone Spring Road. The shared-use path is 10-feet wide, hard surfaced, and is used by many walkers, joggers, and bicyclists for transportation and recreation. 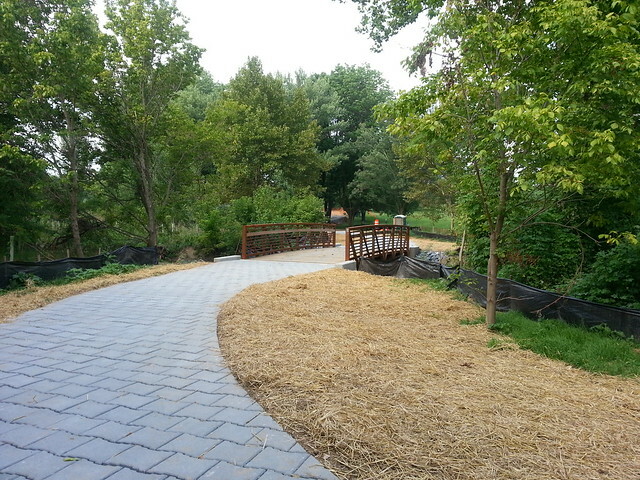 Visitors driving to visit the Bluestone Trail can park their vehicles at Purcell Park. More information on other city walking and biking trails and paths. Information on future extensions of the Bluestone Trail.